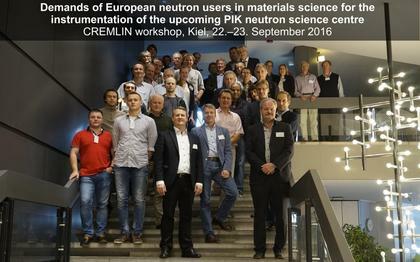 The workshop “Demands of European neutron users in materials science for the instrumentation of the upcoming PIK neutron science centre” was organized by the Institute of Materials Science of HZG and it took place in Kiel on September 22–23, 2016. 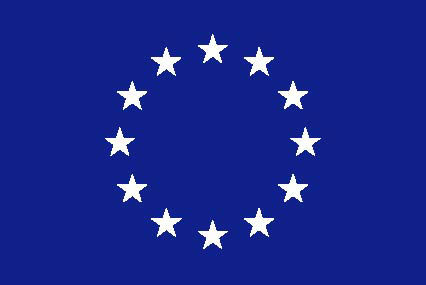 It was part of the EU project “Connecting Russian and European Measures for Large-Scale Research Infrastructures” (CREMLIN; www.cremlin.eu), which is a HORIZON 2020 Coordination and Support Action (proposal No. 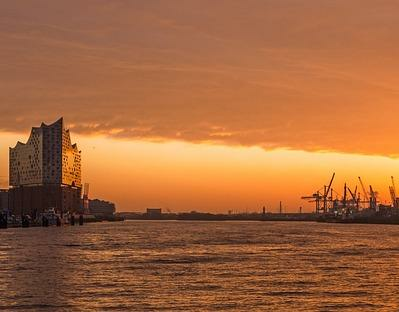 654 166), coordinated by Martin Sandhop of DESY. 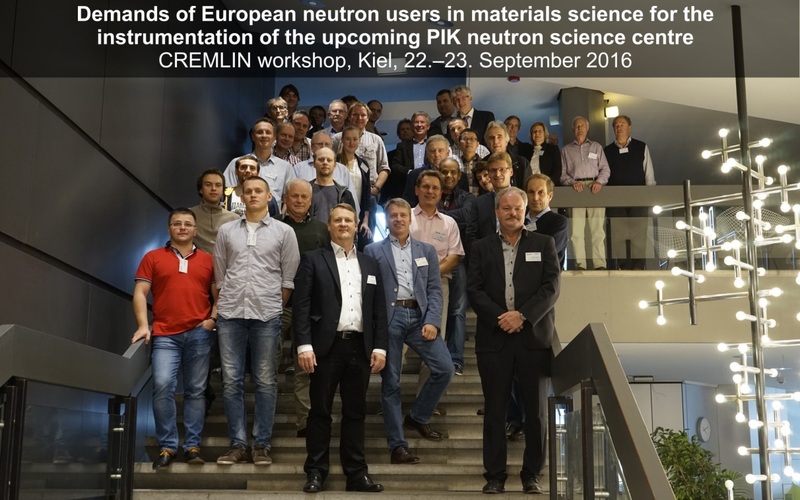 Work package 4, led by Alexander Ioffe from FZJ, is about “Science cooperation with the PIK research reactor in the field of neutron sources”. In 2013, the experimental hall at the PIK reactor was ready and the idea of an “International Centre for Neutron Research” (ICNR) had been approved by the Russian government. The PIK reactor will have a power of 100 MW and will provide a maximum flux in the moderator of 1.3·10 to the 15 n cm–2 s–1, making it one of the world’s most intense neutron sources. The operation shall start in 2019. New neutron sources are important since there will be a significant decline in existing neutron scattering capabilities in Europe within the next 5 to 15 years. 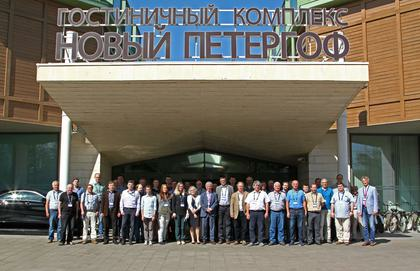 The purpose of the workshop was to identify the research interests and needs of EU and Russian partners in the PIK project (http://www.pnpi.spb.ru/eng/facil/pik.htm) and to give recommendations for the suite of scientific instruments at the reactor. Since a large variety of scientific questions can be tackled with neutron techniques, which cannot be covered all in one workshop, the workshop was devoted to materials science. European users were not only represented on the workshop by participants from six European countries, but also by the chairwoman of the European Neutron Scattering Association (ENSA), Professor Christiane Alba-Simionesco. Also the directors of the leading European neutron facilities (ILL, MLZ, ESS) and other renowned experts were contributing to the workshop. 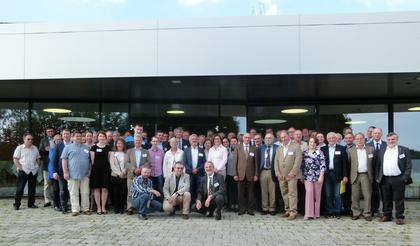 In total, there were 45 participants, 12 talks, and fruitful discussions. The outcome of the successful workshop is a report with a collection of valuable recommendations for the PIK team.